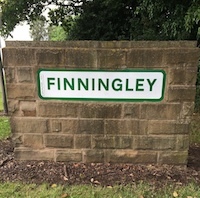 Finningley Village Community Group is a run entirely by volunteers with aims to provide fun, interesting and accessible services to our community. We meet once a month, and if you have anything that you need to know or would like discussed then feel free to pop by at out next meeting or email us or drop into one of the coffee mornings. The next meeting will be published on this website, (over in the What’s on Segment on this page). In conjunction with the Coffee Mornings we organise strider walks around the village and surrounding areas. These are brisk strolls and give you an opportunity to catch up with friends and see more of the village. Plus you get to visit the coffee morning team for some tasty snacks. usually the 1st and 3rd Thursday of each month, but its worth checking if walls are being run on a day. Coffee Mornings run on the 1st and 3rd Thursday of each month serving a selection of hot drinks and home made snacks. Do you think Finningley Tuesday Club is only for the elderly? – Wrong! Do you think you or any fresh ideas would not be made welcome? – Wrong again! Its a group that was originally set up to help over 55’s make friends and enjoy interesting speakers. In addition to speakers coming to our club days we also arrange visits and trips out. The membership age of the group is much wider now and we really appreciate seeing new friends. Its a great place to meet people and make new friends, to find out more click on their web page. We’d love to see you there, give it us try and you may like it!! More things to do here!